We are pleased to announce that the IYT International Crew Theory Preparation Course is now available via elearning absolutely free of charge! 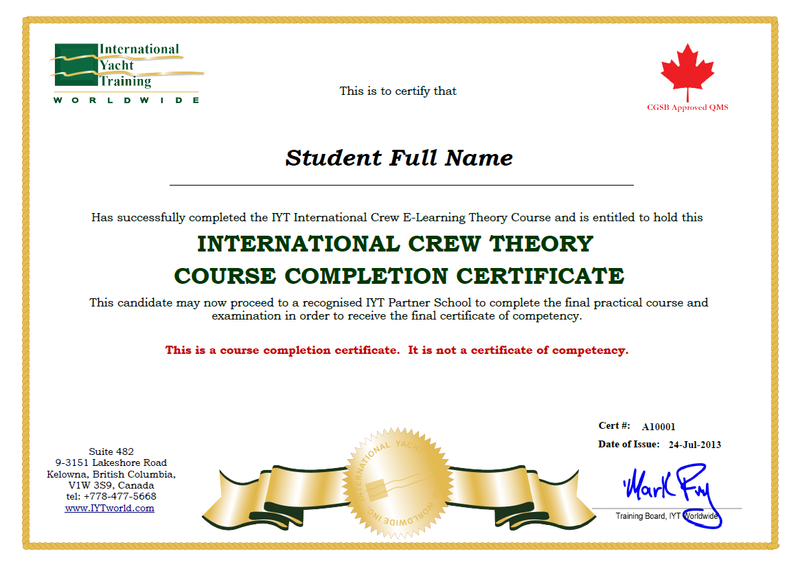 At the end of the course and upon successful completion of a final theory examination, students will gain access to their final “IYT International Crew Course Completion Certificate” which they may download and provide to schools in order to take the final practical training and assessment. Students who complete the online theory course will be better prepared to enjoy their practical training having gained the knowledge required prior to the practical course. To take the free course, please login or register and click this link to purchase the free course. Then see “My eLearning Courses” under the Dashboard menu item to access the course.